After a disputed election brought Milton Obote (at right) to power in Uganda in 1980, one of his opponents, Yoweri Museveni, led an armed resistance against the government. 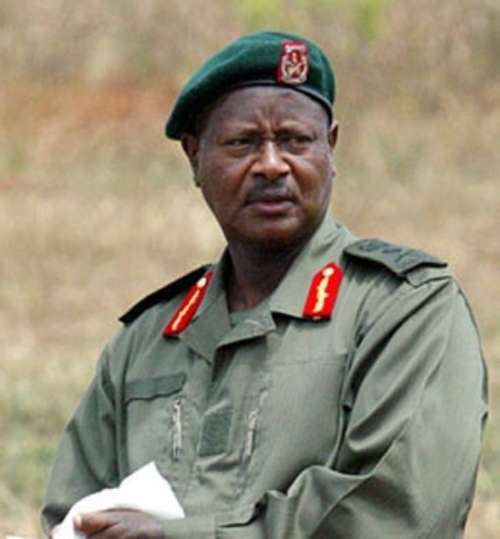 The subsequent Ugandan “Bush War” between Museveni’s National Resistance Army (NRA) and the government’s Uganda National Liberation Army (UNLA) lasted from 1981 to 1986. In 1983, ethnic tensions began to fracture the UNLA. President Obote, an ethnic Lango, was accused of favoritism at the expense of the Acholi, who mostly comprised the officer corps. After confronting Obote with these and other complaints, General Tito Okello staged a coup d’état with the help of a group of Acholi. 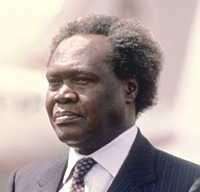 Okello ousted Obote and installed himself as president on July 27, 1985. Okello was later ousted himself by Museveni and the NRA six months later. During the coup and surrounding fighting, many foreigners stationed in Uganda fled across the border to Kenya. Irvin D. Coker was stationed in Kampala, Uganda as the Agency for International Director (USAID) mission director. In an interview by W. Haven North in July 1998, he discusses the situation at the time of the coup and his evacuation in the “Batmobile”with other Americans and foreigners in Kampala. COKER: By the time we got around to fiscal year 1985, the fighting taking place in Uganda between [Yoweri] Museveni’s (at left) NRA [National Resistance Army] and [President Milton] Obote’s UNLA [Uganda National Liberation Army] became intense, to the point where we didn’t know, day by day, what the situation was going to be. We didn’t know whether we were going to be able to deliver any foreign assistance in Uganda. In April 1985, the UNLA concluded that a campaign against the NRA in the Luwero Triangle, which had started at the very top of the northern portion of this triangle, had since spread out across all three of the districts in the triangle. The UNLA campaign was to spread out into a wedge to squeeze the NRA. An effort was being made to see whether the NRA could be wiped out. The NRA broke through the western line and made its way through the western flanks of UNLA to the Rwenzori Mountains. From these mountains and with the advantage of fighting from the high hills the NRA was able to do a great deal of damage to the UNLA. Many UNLA soldiers were killed. Fighting became intense, to the point where the senior Acholi officer, General Tito Okello, approached President Obote to ask whether, as Ugandans, they ought to enter into negotiations with Museveni to find out whether they could bring the fighting to an end. That proposal prompted President Obote’s government and the majority of officers in it, who happened to be from the Langui area of eastern Uganda, to brand Okello and the Acholis as traitors. That resulted in fighting taking place in Kampala between the Acholi and the Langui components of the UNLA. So there we were, in the months of May, June, and July, 1985, in the midst of fighting in Kampala. During that period we basically could not do anything. We heard bombs going off at night, with either the Langui-led or the Acholi-led military factions blowing up the homes of the various officers on each side. There were pitched battles going on, day and night. At the time, whether we were in our houses or in our offices, we didn’t feel that we were in danger. However, when we were moving through Kampala to the various offices, we felt some danger. Several of our vehicles were caught in cross fires and shot up, as the drivers did not know that they were in dangerous areas. This fighting in Kampala continued until the Acholi side, under Okello (at right), decided that President Obote’s government was being unreasonable. They ordered a withdrawal of the Acholi faction of the Army to the North of Kampala (Gulu). 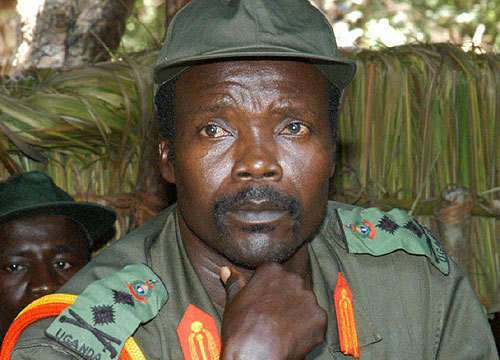 However, prior to that, we had seen clear signs that the Acholi faction was being defeated. Traditionally, when they moved the bodies of dead soldiers who had been killed in action, they did so at night, when most people were asleep. However, there were so many dead that they were actually moving truckloads of bodies, covered with the limbs of trees, through the city, during the day. The stench of decomposing bodies of these dead soldiers was quite noticeable. When the people saw that this kind of thing was happening, it was quite upsetting to them. The Acholi troops were taking their dead comrades to a burial ground in the eastern and northern parts of Uganda. Because the casualties among the UNLA soldiers were so substantial, General Okello had decided that he had to try to bring the fighting to an end. This was contrary to what President Obote and the Langui faction were prepared to accept. With that kind of fighting taking place within Kampala, General Okello decided to withdraw to the North (Gulu) during the third week of July 1985. Then the situation began to quiet down for a day or two. We had been hearing that the Acholi troops were being re-grouped to the north, from which position they would resume their attacks on Kampala. However, we had no verifiable evidence that this had occurred or was about to happen. So on Saturday morning during the last week of July 1985, and since I was due to go on home leave on the following Wednesday, my staff was in the office, working with me. At about 10 a.m. that morning we heard very heavy gunfire. That was the beginning of the resumption of the Acholi attack on Kampala. Acholi troops had come down the Bombo Road from Gulu and were attacking Kampala and the Langui faction of the UNLA. By 12:30 p.m. Saturday July 27th, the Acholi troops had taken Kampala and had overthrown President Obote. Then General Okello went on the radio to make an announcement of this. He called for a celebration of his victory at 1:30 p.m. in the central park. The Acholi faction of the UNLA began to loot stores and homes throughout Kampala. Meanwhile, my office staff and I were hunkered down in the AID offices. So we stayed in the AID offices from Saturday morning until Monday afternoon at 4 p.m., before we could get out. In the interim we were communicating with the embassy and also with USIS [United States Information Service] via radio. There were no Peace Corps volunteers there at the time…. We had a separate AID office building on one side of Kampala, over in what was called the Nakasero area. The embassy was downtown, in the rear of the British High Commission office. We were in communication with the embassy. We were also told that the embassy was in telephonic communication with the Department of State in Washington. Between 1:30 and 2 p.m. on that Saturday the connection with Washington was broken. Somehow, the embassy lost that connection. I think that a transformer was blown up, stopping all of the electricity going to the embassy. Then the State Department Operations Center was able to get our telephone number, and they called us up…. They kept a telephone line open to us from about 2 p.m. on Saturday until late in the afternoon of the following Monday. Subsequently, when I met someone who had worked in the Operations Center dealing with the situation in Kampala, he mentioned, when he found out that I was in Kampala at the time, that they wondered whether we were aware of the size of the telephone bill that had been run up from keeping that line open. I was told that the bill was $52,000! I had not known that, but at least the State Department had communications with Kampala, by using the AID line. Three of us manned that line, twenty-four hours a day during this period, rotating between myself; Gary Mansavage, my deputy; and Floyd Spears, the executive officer of the AID mission. We had radio contact with the embassy. We used a two-way radio to communicate with the embassy and with the USIS office. We notified the Operations Center of what we had been able to confirm regarding the condition of official Americans and anyone else associated with the embassy, such as third country nationals. We had third country nationals from the U. K. working with us. During this period from Saturday afternoon to Monday afternoon we had to confirm, twice a day, the whereabouts of our people. The State Department was contacting the next of kin of our people and giving them the condition of their loved ones in Uganda. The Operations Center used the telephone numbers of our next of kin, using information in the files in Washington. So we were able to keep next of kin in the U.S. informed regarding people on whom we could obtain information in Kampala. On Monday a decision was reached by the American embassy and the British High Commission that General Okello and his faction of the Army had taken control of the country. This faction was the element committing most of the human rights violations. We concluded that there probably would be no way by which we could work with them. It was at that point that the embassy approached the State Department in Washington about the need to have the AID component of the mission greatly reduced in size, at least for the time being. As I said before, I was due to leave Kampala on home leave. We were reaching the close out point on the Food Production Support Project. We also had people working on the manpower development project, in cooperation with the Makerere University Research Station. In view of the situation, it was decided that virtually all of the AID personnel in Kampala should be evacuated to Nairobi [Kenya] at the first opportunity, keeping only a skeleton crew at the AID office in Kampala. So on the Monday after the seizure of power by General Okello and his faction, the British high commissioner and the American Ambassador called on Okello and officially notified him that they would begin an orderly withdrawal of their personnel and families from Kampala, to begin on Wednesday morning, July 31, 1985. On Monday July 29, when the situation began to quiet down, the armored vehicle that had been assigned to me was parked in the garage at my house. The third country national who had been assigned to me, Tony Cokane from the United Kingdom, had been in Uganda since 1979. He was a very adventurous type of fellow. When the fighting began in Uganda to overthrow Amin, he was touring in East Africa. He decided to go to Uganda, where he stayed. He was a very handy type of person. He was working at the AID mission. However, the “Batmobile” was ultimately very useful. Tony Cokane went to my house and picked up this vehicle from my garage and brought it back to the AID Mission office. Verdell, my wife, and I got into the vehicle. We went to check on some of the AID staff that was still in country. Fortunately for us, most of our staff had no dependents. Since school was out, most of our dependents were on leave in the U.S. We only had one family there, with two dependent children. They happened to be the two dependent daughters of my personal secretary, an American. One of the girls was going to school in Kampala and one was in school in Kenya. The two girls were in Kampala at this time, waiting for their mother to go on leave. I also had a limited number of contract personnel with me. I checked on these people and got back to the office. At that point we received the final orders from the Ambassador on the timing of the evacuation. So, starting on Wednesday morning, July 31, 1985, we began the evacuation process, with the British High Commission staff leaving in fifteen vehicle convoys, starting at 7 a.m. There was a very large number of British citizens in Uganda at the time. The Americans began to leave at 7:30 a.m. We alternated, with a British convoy leaving on the hour and another convoy leaving on the half hour. So we wouldn’t clog up the roads. Instead of fifteen vehicles at a time, I took out the whole AID contingent at once. I took eighteen vehicles from the embassy, USIS, and AID. The Ugandan military had cleared the road all the way to the Kenyan border for the British, American, and other convoys. They understood that the convoys were not to be tampered with in any way…. We could only bring one, regular size suitcase. No animals. We left our pet dog there in the hands of Floyd Spears, the executive officer of the AID mission. In the lead vehicle in the American convoy we had two of the political officers from the embassy. Without the knowledge of the UNLA troops which had cleared the road for us, the political officers had Uzis [Israeli sub-machine guns] in bags, which provided us with at least limited protection. They were intended for use in case of an emergency of some kind. When we got to the Kenyan border, we discovered that the UNLA commander at the border had not been given the word about the convoy’s departure to Kenya. 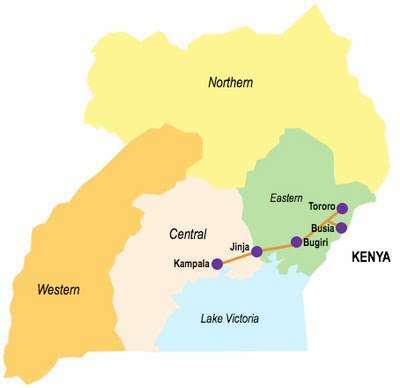 The Kenyans were aware of the plan to move us across the border into Kenya, because the embassy in Nairobi, Kenya, had been alerted by two-way radio that we were leaving Kampala for the Ugandan border with Kenya. So the embassy in Kenya and the AID office in Nairobi had dispatched several vehicles to the Kenyan border to meet us, because they knew that we were packed in our vehicles like sardines. With the vehicles from Embassy Nairobi and the AID office in Kenya, we would be able to spread out once we got to the border. I took three of the Ambassador’s children out with me. The Ambassador’s wife was already out of Uganda. I also had embassy and USIS personnel with me. 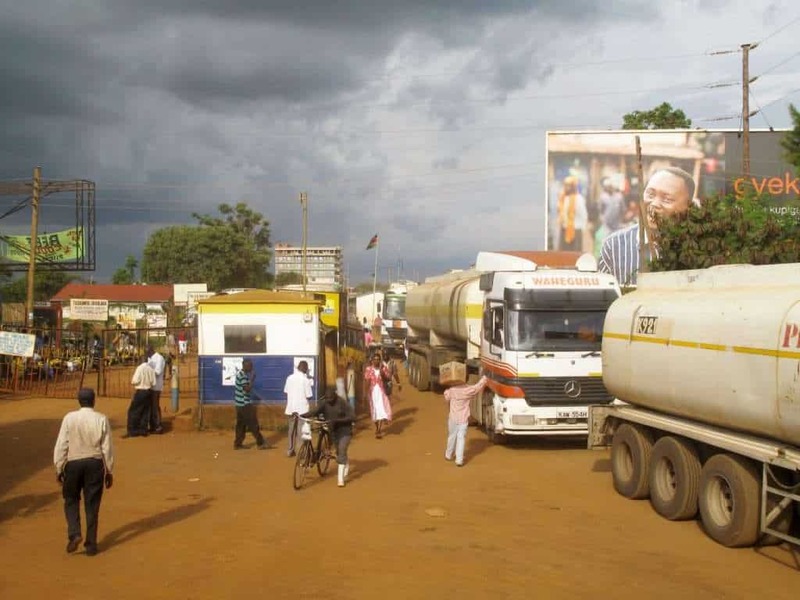 When we got to the border between Uganda and Kenya, because the Ugandan border guard was not informed that the withdrawal of our people had been ordered by the U.S. Government and authorized by General Okello, he decided not to allow us to take any of our vehicles across the border. However, he said that he knew enough about international conventions to know that he should not interfere with the rights of the people involved to go across the border into Kenya. So he allowed us to drive our vehicles, one by one, up to the border between Uganda and Kenya, allow the people to get out of the vehicle, with their possessions, and walk across the border. However, the vehicles had to go back and be parked in the compound behind the police station at Busia on the Ugandan side of the border. So I kept one driver, including myself, for each of the 18 cars in our convoy. We parked our vehicles in the compound behind the police station at Busia. Since none of our vehicles was being allowed to cross the border, that meant that all of the vehicles from Kampala that had started moving to the border with Kenya since 7 a.m. that morning were blocked at the border and parked on the grounds of the Uganda Police. Q: Including the British High Commission vehicles, too? COKER: Yes. So these vehicles were all in the police station compound. We formed a big, wagon train of cars in a circle. We used that as a means of providing them with protection. So there we were, overnight, with all of the dependents gone, except those who were staying with the cars. We realized that we would need to make arrangements for meals, and so forth. So we scurried around and collected as much as we could find in the way of Ugandan currency. We went into Busia and bought soft drinks and beer. We paid Ugandans to purchase and slaughter goats. The Ugandans were able to bring in drums and charcoal, lit fires, and started cooking the goats. So there we were, around the bonfires eating and drinking brew…. We didn’t want to leave the cars. If we had done this, we figured that we would never see them again. So we stayed there for a time. When I discovered that we had this hang-up at the Ugandan-Kenyan border, I also discovered that the Italian embassy had a vehicle there with a two-way radio on it that could reach Kampala. I called Kampala and told them what our situation was. The Italians allowed me to talk to the American ambassador in Kampala, using their radio. I said that it was important for the American Ambassador and the British high commissioner, who had worked out the convoy arrangement with General Okello, to know that the Ugandan border commander had not received instructions, and none of the vehicles was being allowed to cross the border. We didn’t get any reply that evening, but by 9 a.m. on the following day [August 1, 1985] the Ugandan border commander received the necessary authorization and allowed us to start taking our cars across the border with Kenya. During the previous night we had tried to keep the bonfires going, because Busia is at a pretty high altitude, and it was pretty cold. In the car I had been driving myself, I got a large, American flag, draped myself in it like a blanket to stay warm. No one could mistake the flag for what it was. Then, as I say, around 9 a.m. on August 1, 1985, we received permission to cross the border into Kenya. We discovered that one of the cars that we had in our eighteen-car convoy was a new BMW which belonged to an American who was newly arrived in the embassy in Kampala. She had brought this vehicle in from Paris, where she had been previously posted. It had not yet been properly registered in Uganda. I decided to talk to the Ugandan border commander. I told him that I would like to sign an “IOU” for this vehicle. They allowed me to do so, and I took the vehicle over to the Kenyan side of the border. When I got to the Kenyan side of the border, I told the Kenyan officials that I didn’t have the proper registration papers for the vehicle. I said that I would like to sign an “IOU” for it. 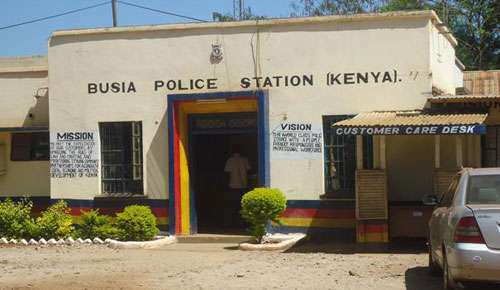 However, the Kenyan authorities would not accept an “IOU,” so they made me park the vehicle in the compound behind the Kenyan police station, with the understanding that if it wasn’t cleared in thirty days’ time, the Kenyan border police would sell it. So, in any case, we made our way down to Nairobi. Meantime, the dependents who had crossed the border on July 31 had been taken to Nairobi by vehicles and one aircraft. The aircraft had been provided by the American ambassador in Nairobi. It wasn’t a very large aircraft, but it was big enough to take the two children of the American ambassador to Uganda, plus my secretary and her two daughters. So they went to Nairobi. However, all of the others were driven in vehicles to Nairobi. On the next morning some of us who were still at the border decided that they were too tired to travel to Nairobi. They stopped at a nice hotel in Kakamega [Kenya]. The rest of us continued on to Nairobi. We got to Nairobi and started arranging for the processing of our people, with the assistance of the AID office and the American embassy in Nairobi. Some of our people were to stay in Nairobi, some were to go on to Ethiopia to help out at the AID mission in Ethiopia during the drought that was taking place. Those of us, like myself, who were going on home leave were processed to return to Washington. We stayed in Nairobi until we arranged to have everybody taken care of. Everyone had left except my deputy, Gary Mansavage, a bachelor. Floyd Spears was the executive officer and also a bachelor. They were the only two who stayed on in Kampala, along with the Foreign Service national staff. We also had Tony Cokane, a third country national from the U. K., who stayed in Kampala. Those were the three non-Ugandans who stayed in the AID mission. The rest of us were evacuated. The Ambassador stayed in Kampala, along with a political officer; the security officer; and the USIS director, who wanted to stay. They were the only ones who stayed from the embassy staff. So those of us who were evacuated to Nairobi came back to Washington, after we had made the necessary arrangements in Kenya.